Engraved Silver Plated Letter Opener and Pencil Case Gift Set. 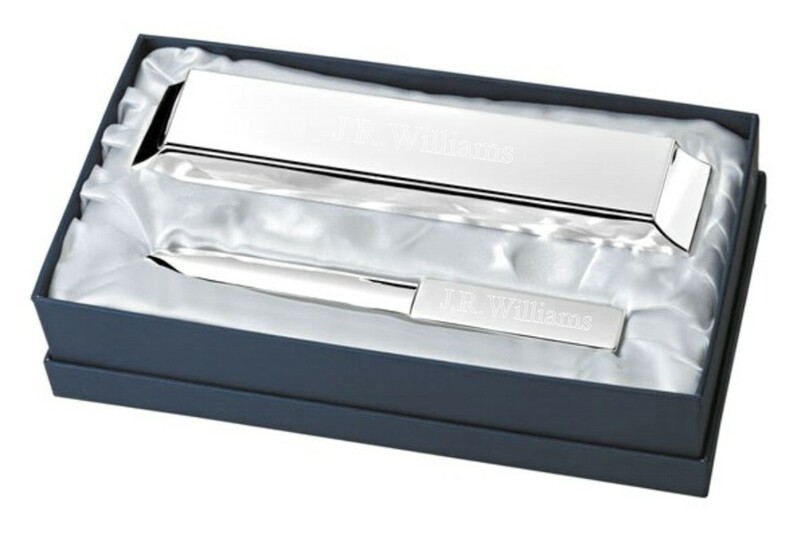 A beautiful engraved silver plated letter opener and pencil tin. The letter opener measures 190mm x 16mm x 10mm and the pencil case measures 230mm x 50mm x 35mm. Engrave with a full name or small message.